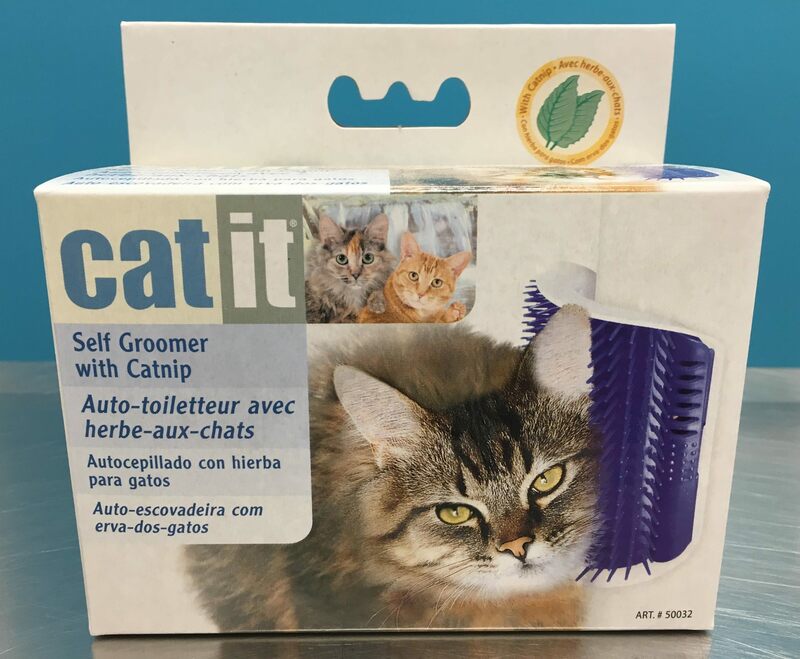 Wall-mounted self groomer from Catit is an excellent little enrichment item for any home with a cat! This is a great resources for long-haired kitties, cats that LOVED to be brushed (you cannot be there to brush 24 hours a day! ), and itchy cats with allergies that need a little help satiating their itch. We also love this as an enrichment item for handicapped cats that may have a difficult time reaching certain areas; for example, a tri-pod missing a back leg who may have a hard time scratching his chin may love a little item like this!